Christmas for most is presents and jingles, but for social media marketers, it’s a season of frenzy. For most businesses, the Christmas season is the most hectic and busy time of the year, and a time when sales skyrocket through the roof. The catch, however, is that during the Christmas season, the competition among brands of getting seen becomes tougher. Everyone is trying to get the attention of their audience all at the same time, and so cutting through the noise and standing out from the crowd is becoming more of a challenge – even though customers buy more than ever. With consumer spending increasing dramatically during the Christmas season, you obviously also want to be a part of the fun, and enjoy increased sales. Like most things, though, this is easier said than done. As the competition among brands increases, you need new and unique ways to approach and reach your customers when the competition is the highest. An effective, and often underestimated way of reaching your customers during Christmas is social media. In this article, we’ll, therefore, share with you 5 Best Christmas Hashtag Campaigns and how you can succeed with social media during the Christmas season. With these hashtag campaigns, we’re going to take inspiration and advice, in order to leverage by the time you’re ready to set up your own Christmas hashtag campaign that yields you tremendous marketing results during the Christmas season. Today, social media has become a natural part of many brands’ marketing strategies. This makes sense considering the fact that 74% of shoppers make buying decisions based on social media, according to Social Media Week. During the Christmas season, social media is one of the most effective ways to reach your target audience and convince them to buy from you, and if you aren’t leveraging it, you’re missing out on tremendous opportunities. What’s even better is the fact that during the Christmas season, many people tend to always scout for gifts to buy to their friends and family, and oftentimes, you stand there with no clue on what to buy. As a result, many people go to social media in search of inspiration. If you can effectively reach your customers through social media during this time of year, there’s a greater chance that they’ll buy, and this is exactly what you can do with the help of a Christmas hashtag campaign. And maybe most importantly, how do you run a Christmas hashtag campaign that dominates and generates worthwhile results. Well, to begin with, hashtags are ”a word or phrase preceded by a hash sign (#), used on social media websites and applications, especially Twitter, to identify messages on a specific topic.” Think of hashtags as categories for your social media posts with which you allow your post to be showcased for other people who look at the respective hashtags that you choose to use on your post. The hashtags you use should be aligned with the content of your social media post, because this allows you to reach the correct people, since, people who look at ”Christmas tree” hashtags are probably not looking for photos of beaches and blue water (unless it’s a Christmas cruise!). A great thing about hashtags on social media is that they increase your reach and your social media engagement. The more places your social media posts are showcased on, naturally, the more people you’ll reach, and thus the better results you’ll generate. Now, when it comes to Christmas hashtag campaigns, the way you set up such is a bit different from only incorporating them into your posts. With a hashtag campaign, a specific hashtag decided and created specifically for that campaign will be used, and it will be the center of attention in the campaign. When using hashtags like this, as part of a social media marketing campaign, you’re using the hashtag in order to engage your audience, make them a part of the campaign, and/or gather content from your audience around a specific topic. The way a Christmas hashtag campaign is set up, and the goal of one can vary, and this is also why the Christmas hashtag campaigns that we’re going to share later on in this article as inspiration vary as well. When brands create a Christmas hashtag campaign or any campaign for that matter, they normally create a ”new” ”unique” hashtag for that particular campaign. The hashtag is created to work as an album that only contains posts that are relevant to a specific campaign (in this case a Christmas hashtag campaign) and this allows both the brand and the audience to easily go through all the posts as it significantly helps with discoverability. Second of all is that with the campaign, as a brand, you want to have a hashtag that is relevant to the specific campaign, but also that is relevant and aligned with your brand and brand name. It’s also worth having in mind that the hashtag should ideally be short and easy to spell so people don’t misspell it. 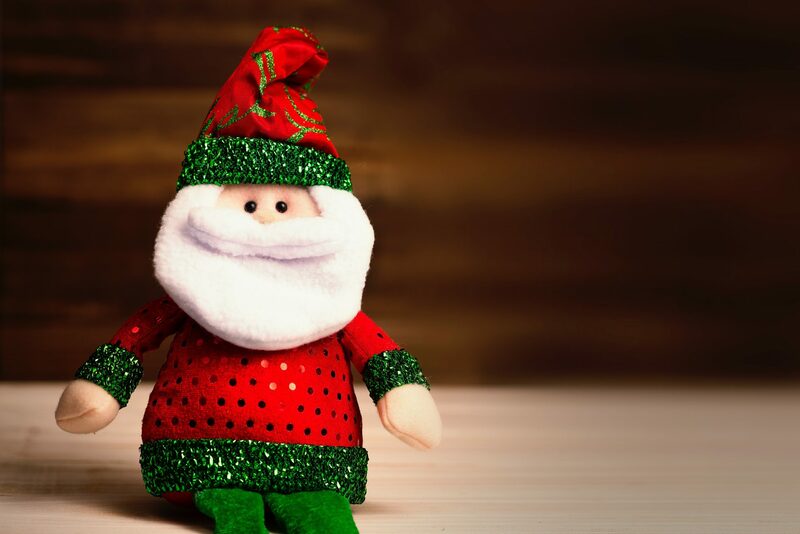 If you create a Christmas hashtag campaign and the idea is to gather a collection of posts from your audience, using a new hashtag that is created specifically for that campaign, and which has no previous posts will allow you to get a better overview of the posts that are part of the campaign, but also to have a keyword that is actually relevant to your brand. Also, it can be good to have in mind that since you are running a Christmas campaign, it is a good idea to use a hashtag that is related to Christmas in one way or the other, that allows people to know exactly what your campaign is about. And as with all personalized hashtags, you want to include the name of your campaign or the name of your brand. For example, if your brand name is Apple, and you have a Christmas giveaway, it makes sense to create a hashtag such as #AppleChristmas or similar. You’ll also see examples of this below. A very common type of hashtag campaign, especially during the Christmas season, is a giveaway or contest. Now, what does this have to do with hashtags? Well, often times when it comes to this type of hashtag campaign, the hashtag is used in order to gather and collect posts from the audience and customers on one place in order to more easily get access to the posts, but also to make the campaign accessible for everyone. The best part is that doing this will allow you to run a marketing campaign – a Christmas hashtag campaign which will bring you two or even three marketing benefits at the same time. First off, you engage your audience and customers and make them a part of your contest. Normally, the criteria for a hashtag campaign like this, and to take part in the giveaway is that the customer has to share a picture/video of something related to the campaign, share it, and include the hashtag. This is great because it means extra exposure for you as a brand, and when people take part in your campaign, they spread the word about you and your campaign. Second of all is that the content that your audience create is content that you can use as part of your own marketing in the future because creating good content demands time and resources. What’s more, 84% of consumers say they trust peer recommendations above all other sources of advertising. This means that by leveraging the user-generated content which your audience has created, you can generate even better results than with your own professionally-created content. Lastly, by running a giveaway/contest type of Christmas campaign, you make people a part of the campaign, which tends to engage people more, as opposed to just running a campaign and marketing to people. With this method, you promote with your audience. Have in mind that when people have an incentive, they are more likely to do something. As such, the better the incentive is, the more people will join your Christmas hashtag campaign. Another common hashtag campaign is quite similar to the giveaway example, however, the difference is that there is no monetary price. Instead, people are meant to be encouraged to create user-generated content for the campaign for a ”sense of belonging”, but also because they get something out of it that is non-monetary. Daniel Wellington is a great example of this. On their Instagram, they have the hashtag ”#DWPickoftheDay”. The brand encourages people to share a photo of their watches, including that hashtag, in order to have the change of being featured on their Instagram page. Furthermore, the brand has also created a particular ”fan photos” section on their website where they showcase these images. Both of this things are great examples of incentives which are non-monetary that you can leverage for your Christmas hashtag campaign. This method, of course, brings a great exposure for Daniel Wellington, and the best of all is that it is completely free! The aim of the social campaign was to bring Ted Baker’s Christmas in-store activity to life, through an innovative digital activation, and hence the Instagram campaign launched – the hunt to find Ted elves who, after a night of festivities, had gone missing. The campaign lasted for three weeks, and the campaign had great incentives for its participants which included a trip to the northern lights, and this obviously encouraged plenty of people to join in on the fun and the opportunity to win. With their partner agency, Ted Baker created 32 Instagram accounts to create a festive game where customers hunted for prizes and elves. This Christmas-themed hashtag campaign is a great example of how you can engage your customers during the holiday season. All the elves have been found! Thanks for being part of the search. Follow @Ted_Baker to find out if you’re a winner and all the latest news from Ted. Company: Kate Spade Campaign: The campaign called #MissAdventure, consists of four 3 minute videos, which reminiscent of 50-60’s era movies, with the heroine overcoming the rather boring situation with a luxurious, fashionable flair. Armed with a plethora of Kate Spade products, Kendrick brings her wry sense of humor and all-American, girl-next-door style to the social videos; at one point throwing several outfits at once and carrying on conversations with her dog. Company: John Lewis Partner Agencies: Adam & Eve/DDB & Manning Gottlieb OMD Campaign: The newest edition from their last winning holiday campaign, #MontythePenguin, John Lewis does it again. The Man on the Moon is a story of the man on the moon and a young girl who spots him through her telescope. According to Marketing Magazine, Craig Inglis, customer director at John Lewis said: “Our Christmas advert is once again all about going the extra mile to give someone the perfect gift. This year though, the story is told in a uniquely creative and engaging way as we see Lily, our heroine, go to great lengths to connect with the Man on the Moon. We hope it inspires people to find really special gifts for their loved ones and through our partnership with Age UK, raises awareness of the issue of loneliness amongst older people and encourages others to support in any way they can. Visit their campaign landing page here: http://www.johnlewis.com/christmas-advert Results: 137,000 Twitter mentions, 13,200 extra followers the launch week, and 16M video views to date. What are your favorite holiday Social Media campaigns? Let us know by commenting below! During Christmas, Spirit ran their hashtag campaign #EverydayAmazing. The idea of this campaign for the Christmas was to encourage people to take the time to think about the people in their life who mean the most to them. This idea is highly relevant, as this is something that many people would say is the best part about Christmas – to spend time with people they love. As such, Espirit did everything right with their campaign, as they leveraged something already existing about how people think and behave during Christmas, and then used that to build their Christmas hashtag campaign upon. Espirit encouraged people to take a step back during Christmas and appreciate everyone and the world around them. When people think about Christmas, food, sweets, candy, and treats tend to always play an important part. At the same time, many people also see Christmas as a time to do arts and crafts and Christmas decorations. As such, you can expect a company like Oreo to create social media hashtag campaigns in order to join in on the fun and to take advantage of people’s Christmas spirit. Therefore, Oreo launched their #OreoColorfilled Christmas hashtag campaign where their audience can personalize their own Oreo wrapping. Oreo let their audience make their audience put their own message on Oreo wrapper by choosing from an array of different colors and designs, and have Oreo ship it to them. This social media hashtag campaign allowed people to create great Christmas gifts because this allowed people to create something more personal than simply buying it. Part of the article has been contributed by Jens Wirdenius. Jens is the editor-in-chief of marketing blog Veloce International. He is also the editor of Millennium Watches. Keyhole is a real-time brand and campaign monitoring tool that provides keyword and hashtag analytics for Twitter and Instagram. Get started for free here.